Ntr Mahanayakudu, second installment of NTR Biopic was initially planned for release on January 26th. But, hero Balakrishna and director Krish after taking feedback from fans pushed the film to February 7th. 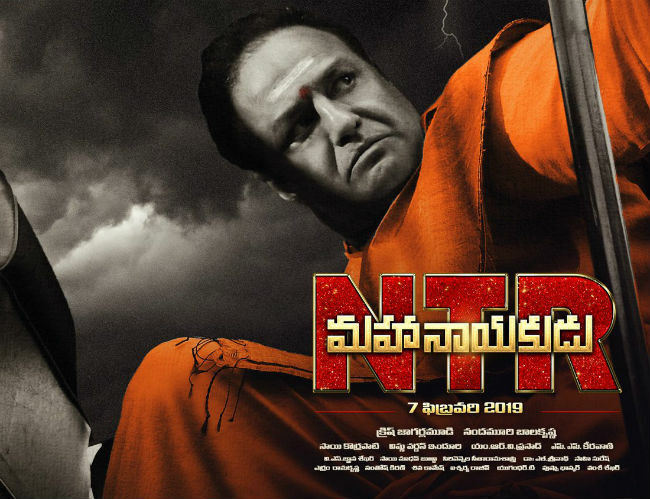 However, with NTR Kathanayakudu, first installment of NTR biopic, getting lukewarm response from audience, they pushed the film to another date. From past few days, there have been numerous reports about release date of the film. Latest update is that, the film is releasing on February 22nd, but not for Maha Shiva Ratri on March 1st. Another update is Mahanayakudu’s release will be through Suresh Babu Production, which it means Balakrishna is not giving the rights to Kathanayakudu buyers. Director Krish re-shot few scenes and took special care on post-production works. All the works have been wrapped up. So, they have decided not to delay the film further. It is known that, Mahanayakudu will highlight NTR’s political attainments.